LEONARDO CATUCCI is an expert of art and Roman history, he is going to show you the best Italian archaeological sites and also the most famous and beautiful cities like Florence, Rome, Venice… You are going to enjoy visiting “Le Marche” with Leonardo Catucci. You can have also the opportunity to see local wineries, outlets and the best products of the Italian industry. 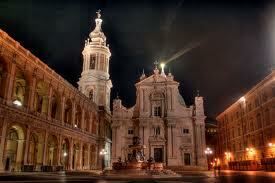 My job is also to pick up people at the airport (Rome, Pescara, Bologna, Ancona, Forlì and Rimini). If you want you can have a flying tour of “Le Marche” by helicopter. You name it we can do it! This year we are going to visit the following places: Ancona, Monte Conero, Portonovo, Loreto, Ascoli Piceno, Macerata and its province, Assisi, Tivoli. LE MARCHE REGION Overlooking the Adriatic Sea in the centre of Italy, with slightly more than a million and a half inhabitants spread among its five provinces of Ancona, the regional seat, Pesaro and Urbino, Macerata, Fermo and Ascoli Piceno, with just one in four of its municipalities containing more than five thousand residents, the Marche, which has always been Italy’s “Gateway to the East”, is the country’s only region with a plural name. Featuring the mountains of the Apennine chain, which gently slope towards the sea along parallel valleys, the region is set apart by its rare beauty and noteworthy figures such as Giacomo Leopardi, Raphael, Giovan Battista Pergolesi, Gioachino Rossini, Gaspare Spontini, Father Matteo Ricci and Frederick II, all of whom were born here. Discovering the Marche means taking a path in search of beauty; discovering the Marche means getting to know a land of excellence, close at hand and just waiting to be enjoyed. Discovering the Marche means discovering a region where both culture and the environment are very much a part of the Made in Marche brand. ANCONA The busy administrative capital of the Marche and the largest city in the region may not seem an obvious tourist centre. Give it time, though, and you may, like us, acquire a taste for the salt and spice of this restless sea port. MONTE CONERO Just south of Ancona rises the solitary limestone peak of Monte Conero whose steep slopes slide down to the sea and the prettiest beaches on the whole of the Northern Adriatic shore. The beauty of the place means that its three small resorts offer standing room only in July and August; come in late May, early September or, best of all, June. 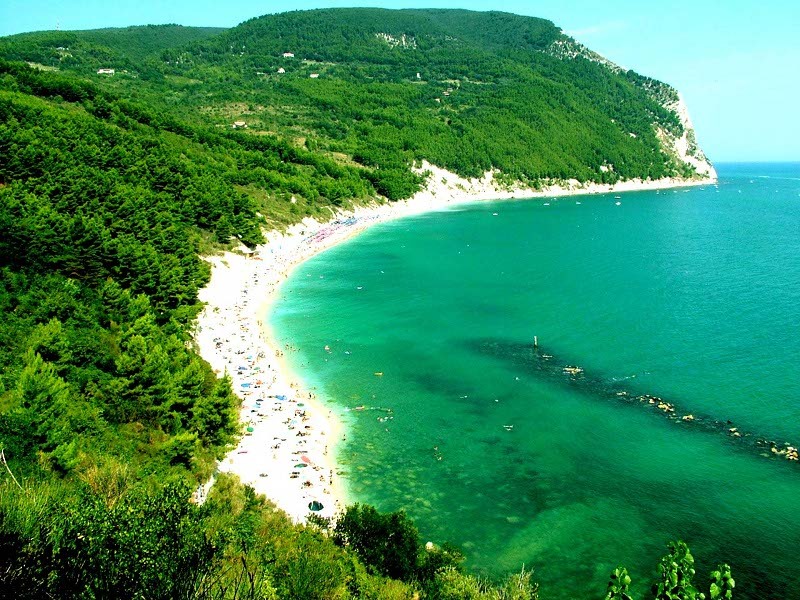 PORTONOVO From Ancona, the first port of call is Portonovo, the smallest retreat on the Conero Riviera. Gasp at the picture postcard views out to sea as you wind down the dead-end road to this collection of hotels, restaurants, campsites and makeshift beach huts on a narrow strip of beach. The strand is split in two by the Fortino Napoleonico, a squat, blank-eyed fort built in 1808 by Napoleon’s Italian Viceroy to fight off English ships. It is now a most singular hotel. LORETO The striking hill town of Loreto lies just inland from the Adriatic Sea and is one of the world’s most important shrines to the cult of the Virgin Mary. The town mainly exists to service the thousands of pilgrims who travel here from around the world. ASCOLI PICENO The beguiling town of Ascoli Piceno is the southern Marche’s major centre and, as its tourist brochure says, it is a place you can see in a day yet never forget. Along with its breathtaking main square, it has other outstanding sights that manage to leave their mark on even the most blasé of tourists. Although it is a fairly large town with a population of some 60,000 people, the historic centre can easily be seen on foot. MACERATA Known across the world for its annual open-air opera festival, Macerata is a human-scaled provincial capital that also warrants a visit for its other charms. 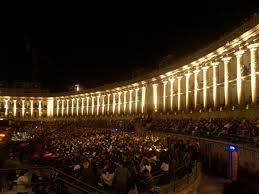 Its open-air opera festival in July has found an international following and takes place in the 7,000-seater Sferisterio – a monster of a neo-classical arena erected by private subscription in the 1820’s. 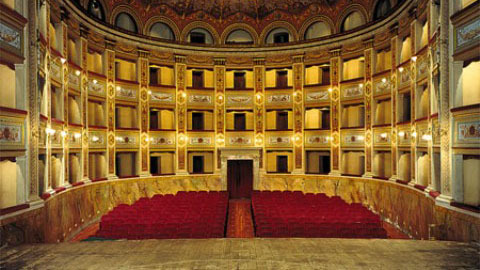 As you swoon to a Verdi aria, you might care to know that it was originally built as a stadium for pallone, or Italian footba. ASSISI Originally an Umbrian settlement, under Rome Assisi became a municipium with the name of Asisium. Up until the 13th century the city perimeters remained the same as they had been in Roman times. 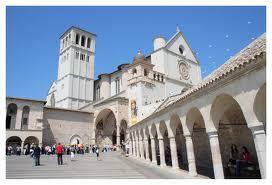 Bishop Rufino evangelised Assisi in 238 AD. Wrested from the Goths of Totila in 545, Assisi passed under the dominion of the Longobard and Frankish Duchy of Spoleto. 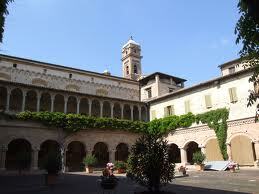 In the 11th century it proclaimed itself a free ghibelline comune, constantly clashing with the nearby guelph Perugia. In 1189, taking advantage of the absence of the imperial vicar Conrad of Lutzen, the inhabitants of Assisi stormed the city’s fortress. In retaliation for Perugia’s interference with the city’s bid for freedom, Assisi marched against its ancient rival and was defeated at Ponte San Giovanni. TIVOLI If you are in Latium, you should visit Tivoli, located on the Monti Tiburtini (Tiburtine Hills). 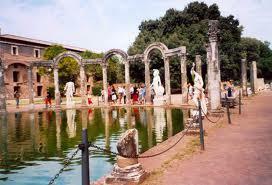 The city of Tivoli was founded in 1215 B.C. in the province of Rome. The poet Virgil called it Tibur Superbum (Aeneid, Book VII), a name that can still be found in the city’s coat of arms. Tivoli, in addition to being known for its sulphur mineral water springs, used since ancient times, is best­known for its two villas on the UNESCO list of World Heritage Sites: Hadrian’s Villa (Villa Adriana) and Villa d’Este. 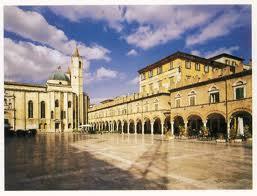 TOLENTINO in the heartland of the southern-central Marche is a thriving medieval town set in rolling hills. Pilgrims come from across Italy to visit the shrine of St Nicholas of Tolentino. Around the Province of Macerata we are going to visit the following places: Tolentino and its beautiful Square of Liberty, Palace San Gallo, Palace Parisani Bezzi, and the Church of Saint Nicola, in Urbisaglia the Roman town of Urbs Salvia and the middle ages fortress, The astonishing town of Macerata and its Sferisterio, and also the villages of Pollenza, Caldarola, and the Abbey of Fiastra.